Puritans. Very determined people the Puritans. Best remembered for their zealous dedication to strict and rigid Protestantism, and utter opposition to the ‘heresy’ of the Catholic Church; history has passed down to us an image of forbidding black clothing, ridiculous hats and dour humourlessness. The average Puritan wasn’t exactly renowned for his or her joie de vivre. These are the people behind the Salem Witch Trials, and we all know how that went. 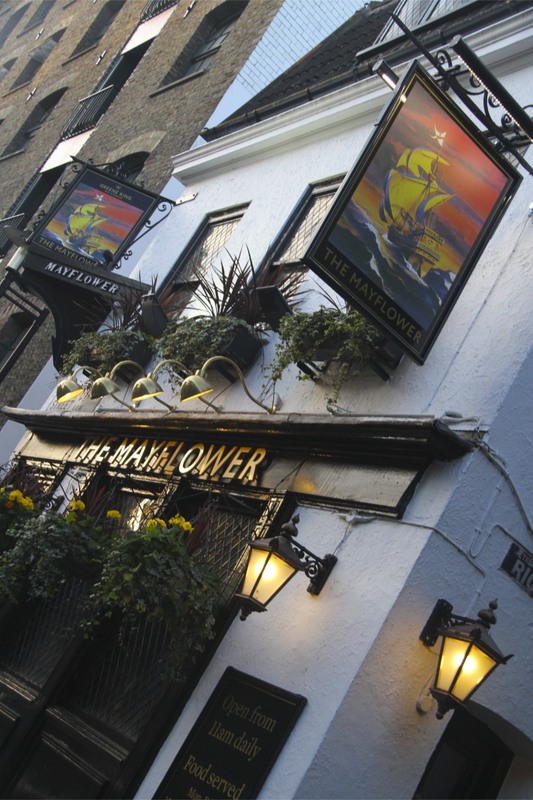 So it was with some mirth that, as I wandered the history soaked streets of Rotherhithe, I came across a pub called The Mayflower, named for the ‘Pilgrim ship’ which left England in 1620 for North America. Were they transported back to modern-day London, I’m sure the assorted gang of Puritans who left England’s shores on the Mayflower, would be furious to discover themselves commemorated by something as immoral as a pub. A little investigation over a pint of Pale Ale led to the discovery that the Mayflower started its journey from this very spot. The arrival of the Mayflower in New England is a significant moment in Western history; imbuing this area with an historical importance that would be hard to guess at walking down the street. The Puritans left England fleeing what they saw as religious persecution; the authorities saw them as troublemakers, probably traitors, and were presumably glad to see the Mayflower disappear down the Thames. 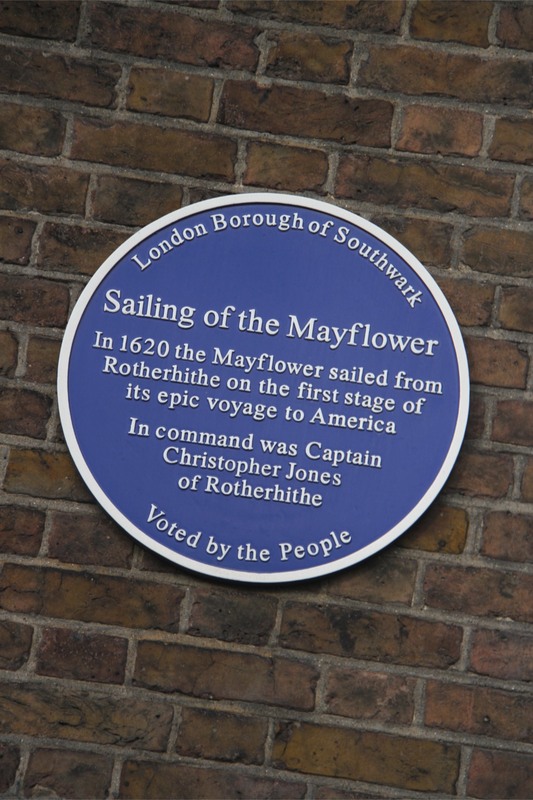 Sixty-five people boarded the Mayflower in Rotherhithe in July 1620. Amongst them some of the people now known as the Pilgrim Fathers, the founders of New England. The ship was tiny, cramped and suffered three months of delays before sailing into terrible weather crossing the Atlantic. The bravery and determination of the men, women and children on board cannot be underestimated. I tipped my glass to their bravery, and left the pub to stroll on the foreshore of the River Thames where the Mayflower was anchored. Leaving the Mayflower behind, I set out to investigate a couple of nearby churches. 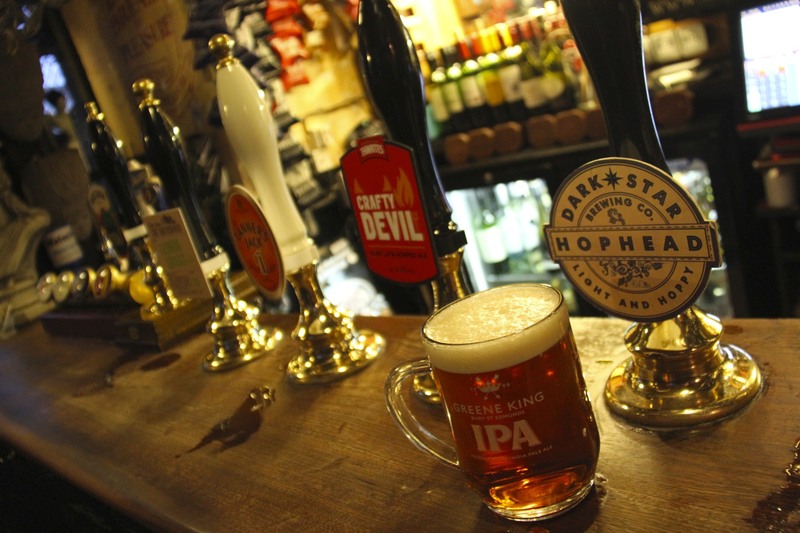 Close to the pub is St. Mary’s Church, which claims strong associations with the Pilgrim Fathers. The current church dates from 1715, but there has been a church on this site from the 13th Century. There is a drawing of the former church dating from 1623, and it is likely that the Pilgrim Fathers worshipped there before sailing. The church was locked, but luckily one of the most interesting things about the church can be found in the graveyard. 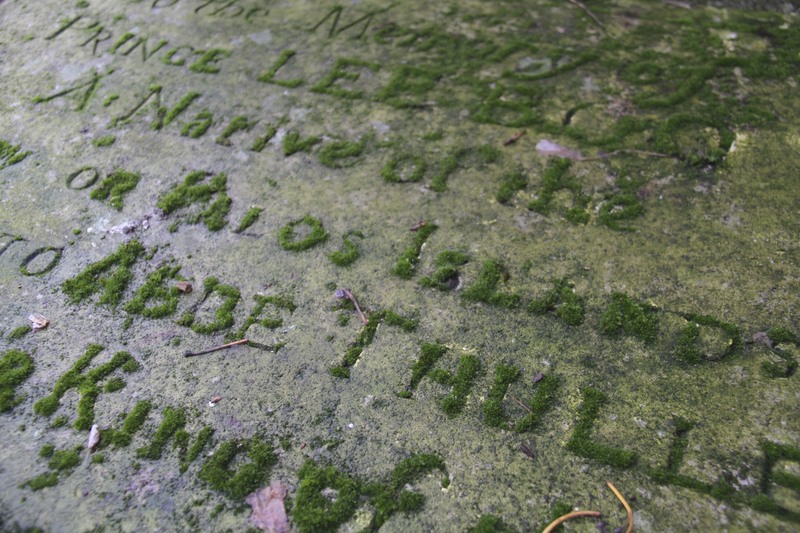 Here lie the remains of Prince Lee Boo from the Pacific island of Palau. 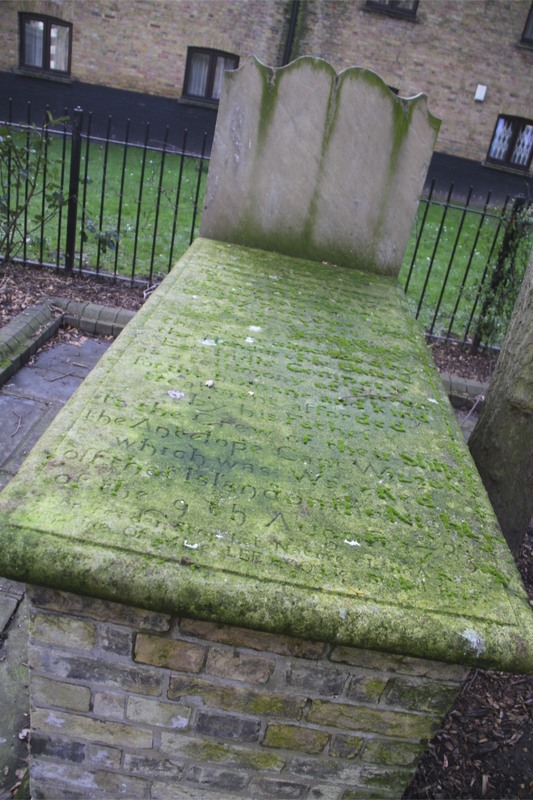 How a member of royalty from a Pacific island came to be buried in Rotherhithe is the story of the expansion of global trade in the 18th Century. In 1783, the English ship, Antelope, was shipwrecked near Palau and the surviving members of crew formed an alliance with the local king, Abba Thulle. The crew built a new boat and Abba Thulle decided to send this son, Prince Lee Boo, with them when they left for England. 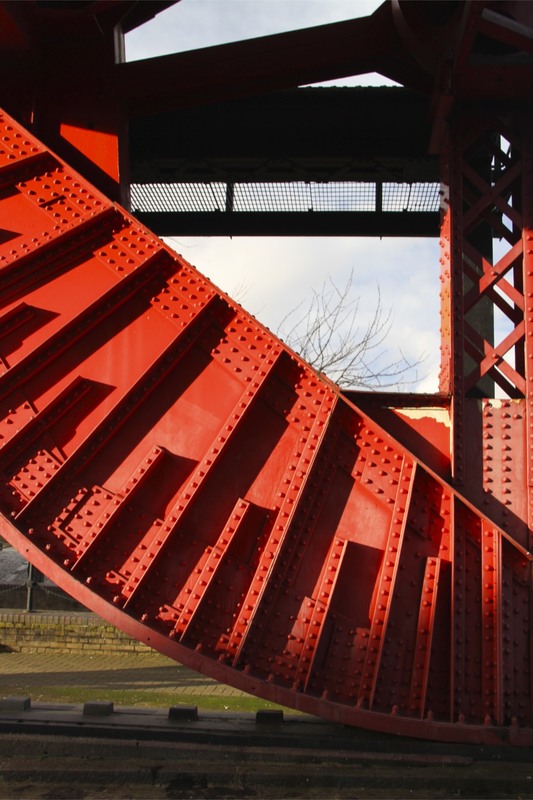 Why did Lee Boo end up in Rotherhithe? 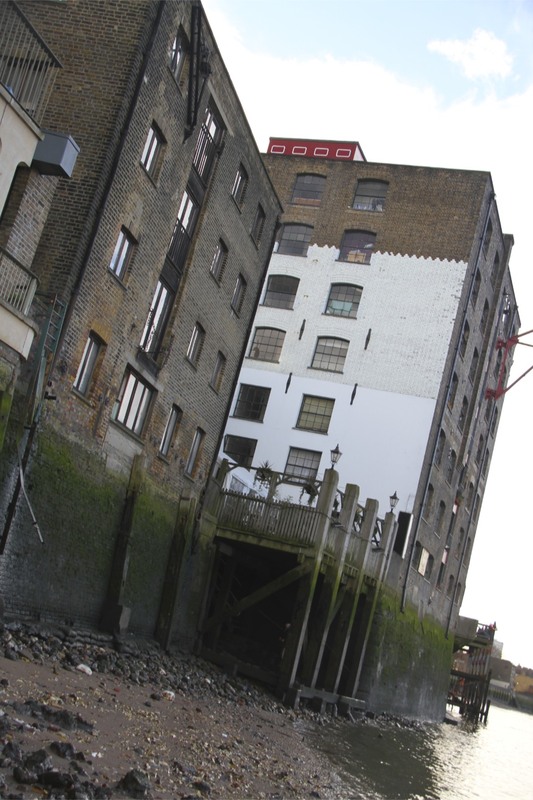 The ship’s captain, Captain Wilson, came from Rotherhithe and Lee Boo lived with him when he arrived in England. He attended school and services at St. Mary’s. Sadly he died, as so many people did, from smallpox. As I walked through St. Mary’s graveyard I passed St. Mary’s Free School. 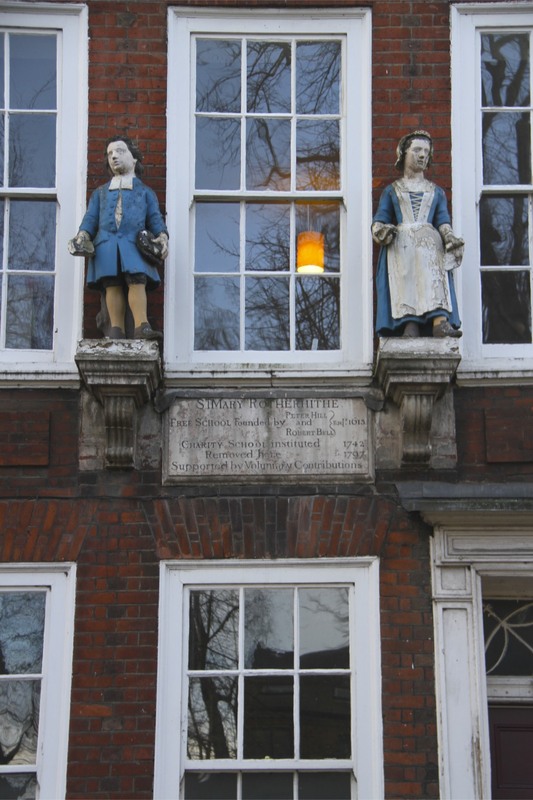 Founded in 1613 by two local sea captains, it was intended to educate the children of seafarers. 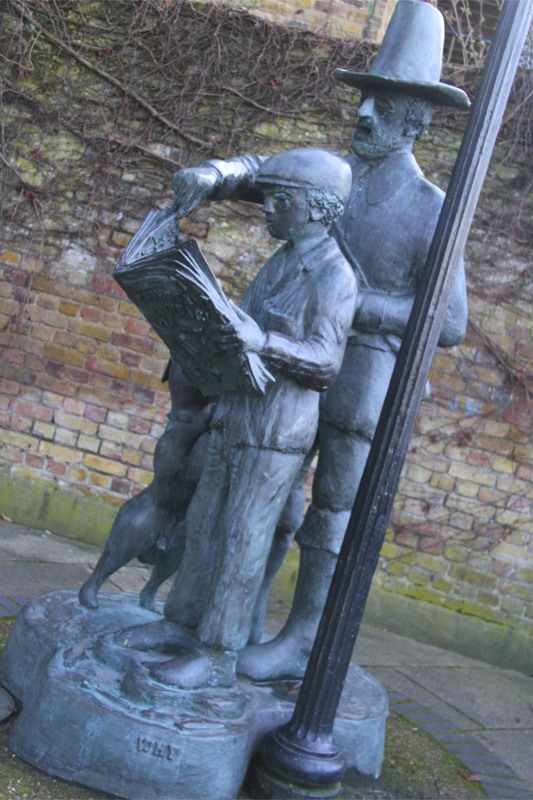 It has two lovely statues on the outside, making it an interesting local landmark. From here, glinting gold in the distance, I could see a church spire. This was the Norwegian Church in London, suitably located at 1 Olav’s Square. 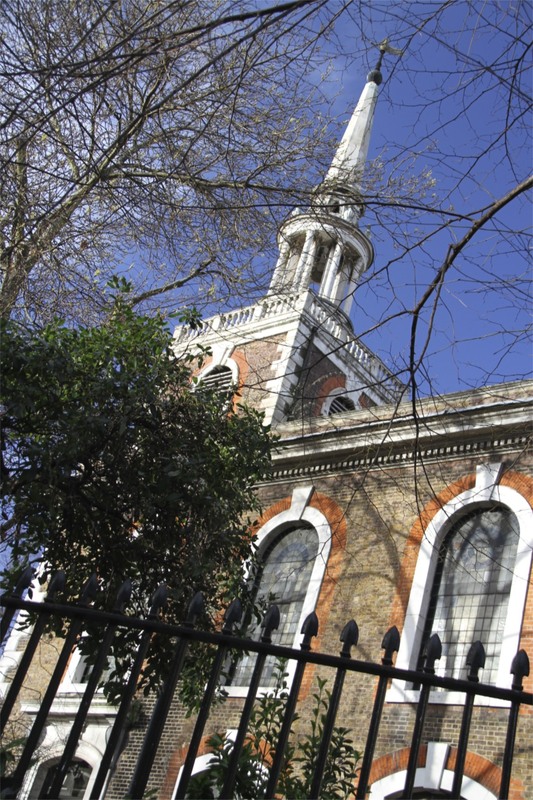 Although the current St. Olva’s Church dates from 1927, there has been a Norwegian Church in London since the 17th Century. 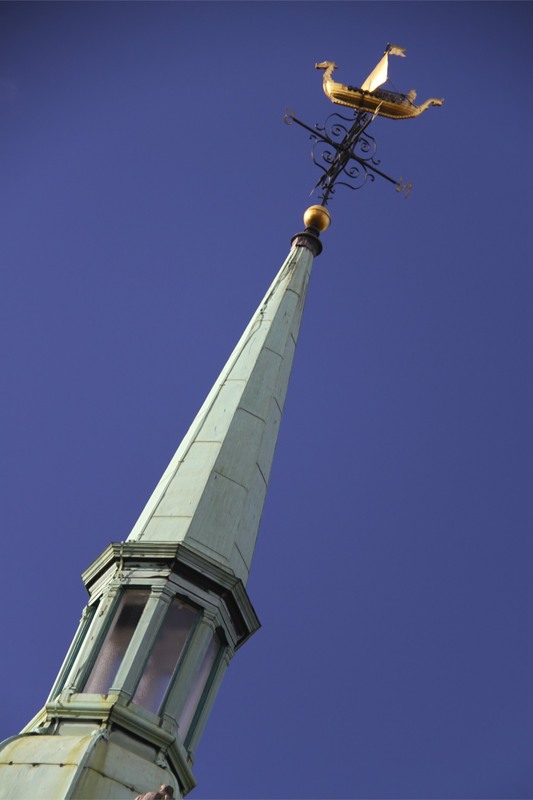 Thanks to trade with Nordic countries there are several Nordic churches in London, and Rotherhithe, with its history of seafaring, is where most are located. The shining spire? A golden Viking Longboat. This area has very strong Nordic connections, and still has many residents of Nordic origins. This made it the obvious place for the Norwegian Government-in-Exile to establish itself during World War II. 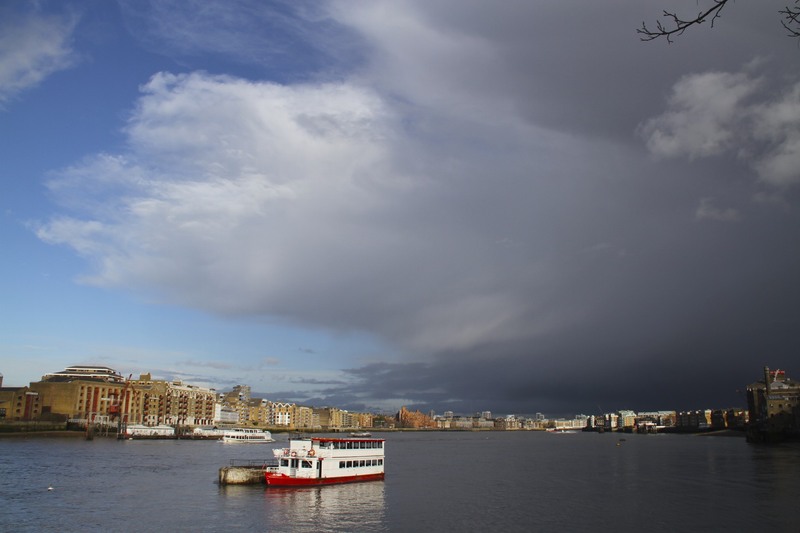 Cementing the Nordic connections, a short walk from St. Olav’s is the enormous Greenland Dock, which was the centre of Britain’s trade with Nordic countries. 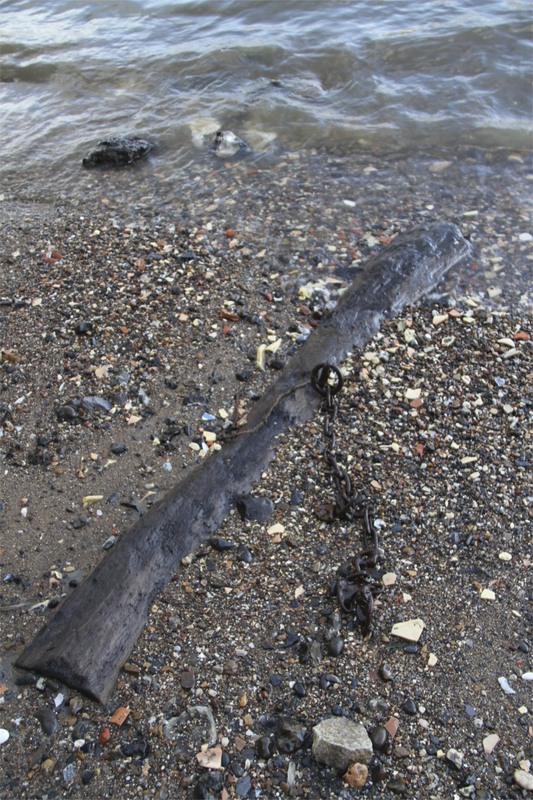 Timber was a major import, but Greenland Dock is famous for its role in whaling. This is where Whalers, ships that hunted whales in the North Sea and Atlantic, came to off-load blubber, whale oil and whale bone. All of which were important commodities in the 17th, 18th and 19th Centuries. 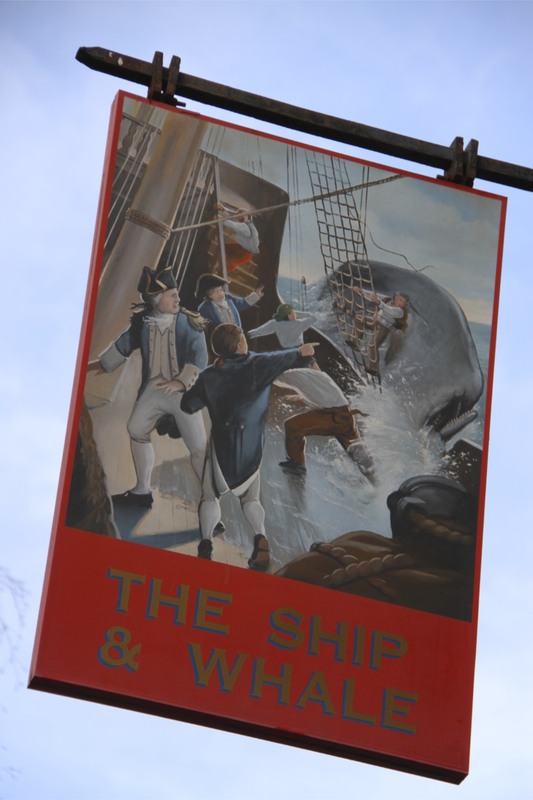 Unsurprisingly, there are several whale-themed pubs in the area.